Excellent add-on to aid in cooling graphic cards and other internal components. 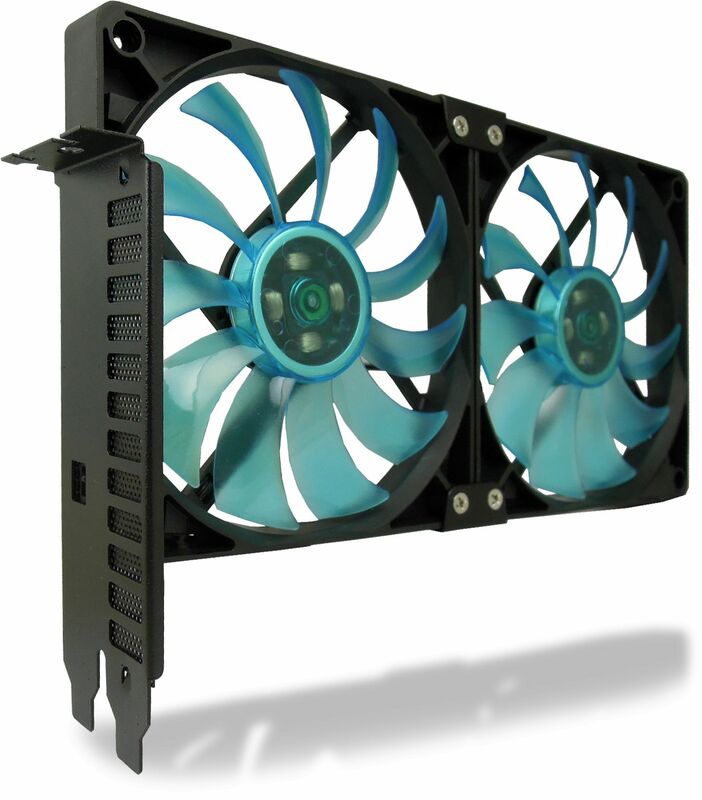 Gelid's PCI fan holder contains two Slim 120mm UV Blue fans and fits into two spare PCI openings on the case. Both fans are just 15.8mm thick and super quiet, spinning at only 1500 RPM and assist in cooling graphic cards and other internal components. Unlike most noisy system blowers, the GELID PCI slot fans can direct airflow quietly towards a graphics card, dropping the GPU and VRM temperatures significantly.